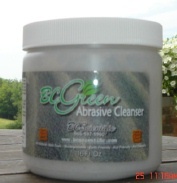 BC GREEN Glass cleaner 32oz. BC GREEN All purpose cleaner 32oz. BC GREEN Bathroom cleaner 32oz. BC GREEN Hardwood cleaner 32oz. BC GREEN Air freshener peppermint/spice 4fl oz.